Most Sunday evenings are cooking evenings for me. I prefer to take a packed lunch to work, so it’s a good excuse to spend the evening preparing for the next couple of days. I also like to use it as an excuse to use up what I might have left in the fridge. I try to avoid food waste as much as possible, so last Sunday, I decided to see what I could cobble together with my fridge produce. I had some fresh sage left over, as well as some potatoes that needed to be used up so I decided to try to make Boulangeres potatoes. It was the Bulgarian who originally told me about this recipe. I loved the story behind it. Boulgangeres potatoes basically means “bakers potatoes”. According to the story, years ago in French villages, after the bakers were done for the day, the ovens would still be extremely hot, so the village people (not those ones) would come by and use the residual heat to cook this hearty, homely dish. I loosely followed this Jamie Oliver recipe, but they’re incredibly simple to make. 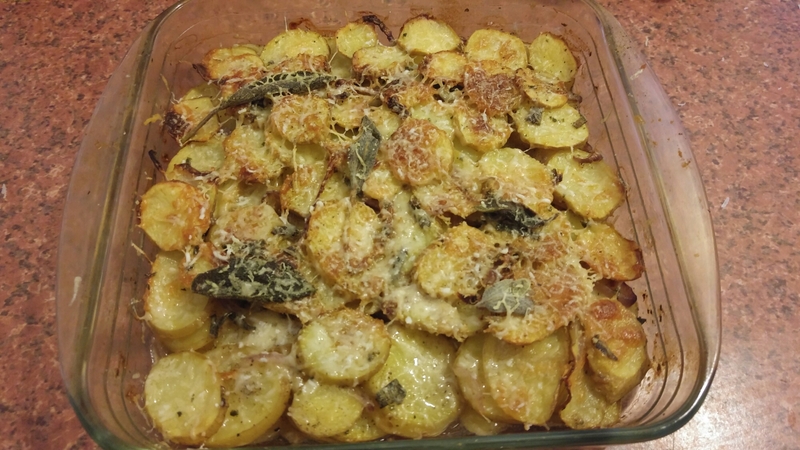 The basic idea is that you thinly slice potatoes into little circles and spread them out across a baking dish, followed by salt, pepper, chopped sage and very thinly sliced onions. 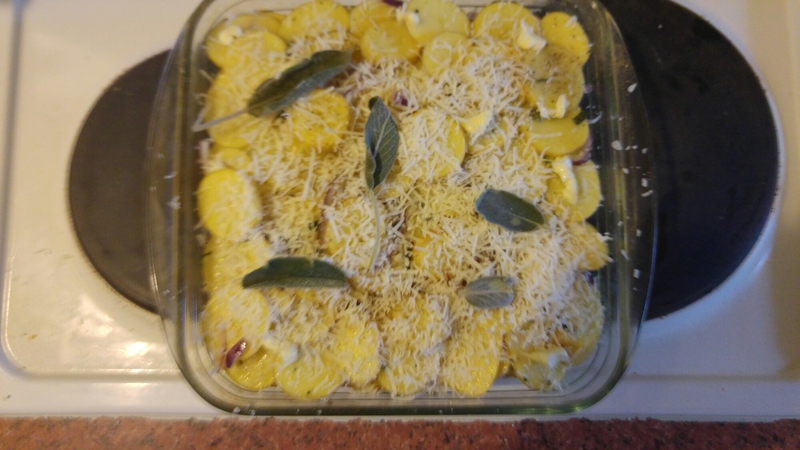 Then you layer this combo up until you’ve used up your ingredients, top with grated parmesan and some sage leaves. Next, you pour some vegetable stock over the dish. 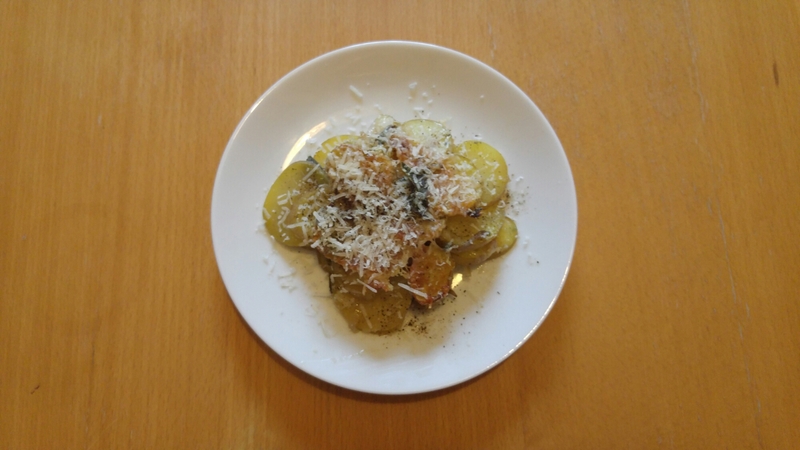 Not enough to drown it, but enough that the potatoes won’t stick to the dish and will absorb the flavour. Pop it in the oven for about 40 mins at 180 degrees or so. When it looks like the above picture, you’re done. I love parmesan, so I topped mine off with a little more. Nothing left to do but tuck in and enjoy! These were delicious, and definitely would be a winner for a warm, comforting dish on a cold night. 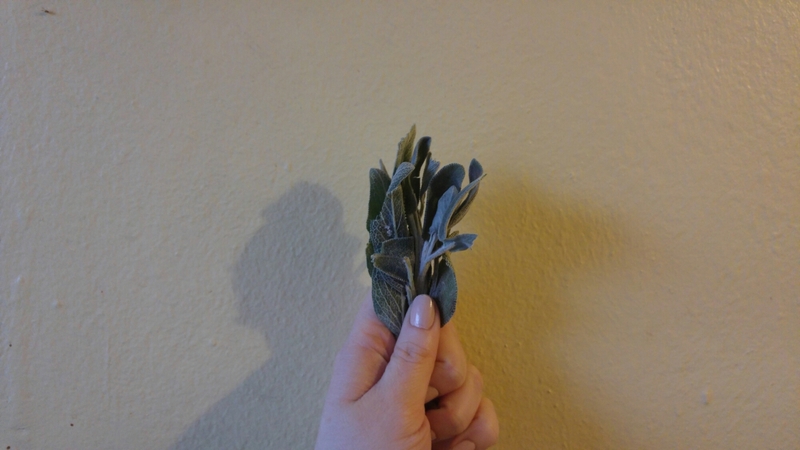 The sage gives them a lovely aroma and the vegetable stock is a really neat way to cook potatoes. I asked my housemate to try a bit and she’s since been asking me when I’ll be making them again. Definitely filing this one away as a new favourite!